What's the point of doing anything at 200 feet in downtown? It will be half as tall as the surrounding buildings. I'd rather have the Seaglass tower or whatever it's called than this. My office is about 400 feet in the air. It's pretty neat, but I doubt many people would pay $10 a pop to have this view. I'd take the top of the JEA building - not amazing but it would work. We do have the River Club but it's not public. Used to be able to eat or drink at the top of the JEA building. The old Embers Restaurant, it even revolved. Nice view. I'd describe Jacksonville going after the Ferris wheel like the kind who's just not cool picking up on 10 year old fashion trend. I just hope the city doesn't end up subsidizing the construction or operation of a $20 million ferris wheel, and that we've got some kind of a smart agreement in place with the property owner in the event that the wheel shuts down. Continues to blow my mind that we've got all these grand, competing plans that we're publicly subsidizing stretching from the Times-Union Center, to the Landing, to the Berkman, to the old Courthouse, to the Shipyards, to Lot J, to Met Park, across the river to the District and Friendship Fountain, with very little vision about how they all work together and complement, rather than cannibalize, each other. Someone needs to get Curry, Shad Khan/Mark Lamping, Lori Boyer, Elements, Jacobs, Rimrock/Devlin, Cordish, the Berkman team, the USS Adams group, Groundworks Jax, JEA, Steve Atkins, and whoever is in charge of the Met Park land swap together and say, "We're pumping or potentially pumping hundreds of millions of public money into your projects, how do they all fit together into a cohesive whole, greater than the sum of their parts, to make downtown Jacksonville a more vibrant place." It's crazy to hear Curry talk about how public money is only given if he's confident it will ROI, yet nobody has the faintest clue what's going on with half of these proposed developments. $36 million was committed to Berkman without a firm decision as to whether a convention center would be built next door. $25 million is committed to the removal of the Hart Bridge ramps without a definite plan for Met Park or Lot J, or even a full understanding of the environmental situation at those properties. These seem like important questions to answer. The viability of a $20 million LED ferris wheel is a drastically different story with a convention center, naval museum, and signature Veterans park at the Shipyards bookending it than it is with a midrise Rimrock apartment complex and a polluted industrial site on opposite ends. I'd second this. 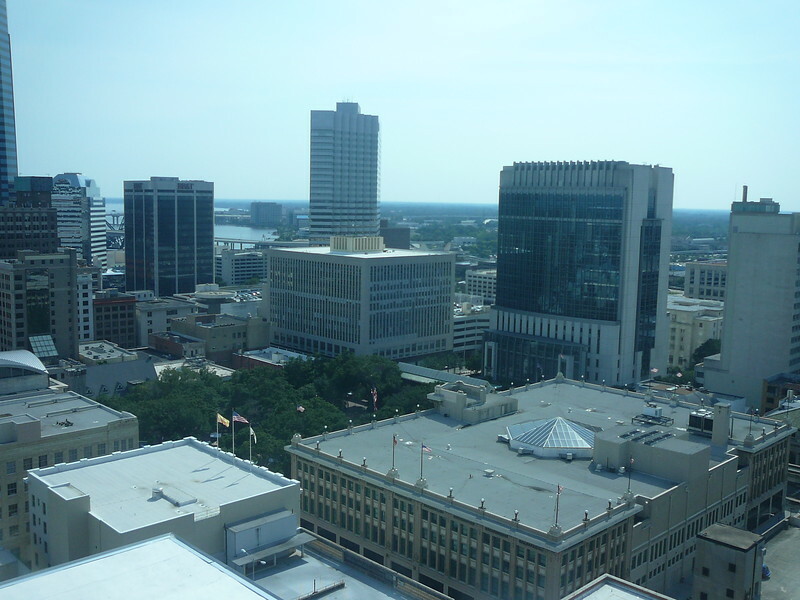 If Jax wants an observation deck (well it has one at the top of the city hall annex but we're about to blow it up), the former rotating restaurant space at the top of the JEA tower has a pretty nice view. Very true....although I still think this thing is a pipe dream. On top of that, there is a ton the City could all on its own to make downtown more vibrant. Crazy would be expect people spending other people's money to have a vision beyond how they're going to spend other people's money. They don't have skin in the game. That overarching vision would create more problems than it solves, from their point of view. I know several here don't agree but I think not having a City Manager is the biggest problem for Jax. There is simply no continuity between Mayor's, especially in a city so equally divided like Jax. The second biggest problem is too many council members. We should only have about 8 of them. It makes the city too Balkanized. Members only have to represent their little pocket. We have the efficiency of the US Congress and the result is a plutocracy running most of the big ideas (and big surprise that they all need millions in tax dollars to make their ideas work). JAX has a city manager, they just aren't called that. I just think the structure of the government is secondary to the people leading it. 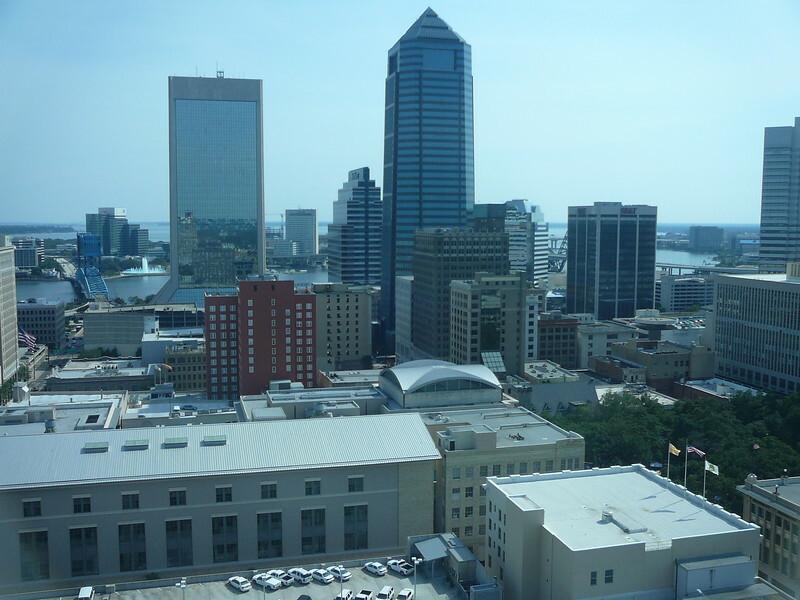 I've seen Jacksonville's government work really well, and I've seen it work really crappy. Same structure. Plus there's no reason the Chief Admin Officer can't play that role - day to day he is that person. There's no reason he needs to be dumped each administration. Sam Mousa was originally in that role in 2000, back in Delaney's admin. Prior to Sam Mousa was Lex Hester, who was CAO from 1991 to when he passed away in 2000. Peyton chose to keep Mousa when elected in 2003, but then he resigned 13 days in (that was my sign we were in for a rough patch in local government). Alvin Brown tried this crazy org structure that never worked. In short - we had Peyton and Brown that frankly didn't go a good job as mayor. The structure wasn't the reason. Aside from their 12 years, we had Ed Austin for 4, Delaney for 8, and Curry for at least 4. Between those 16 years, there's been 2 CAOs - and the only reason for the change was the first one died. The size of the council is a little larger, yes. Part of that comes from 5 at large. My understanding is these were the seats from the old Duval County Commission pre-consolidation. Personally, I'd dump the at large and add a 15th district somewhere. Bingo - they just call it Chief Administrative Officer. It’s the same in the duties, but not the same in that the CAO is appointed by and reports to the Mayor. That means they can change as frequently as the mayor does, so the continuity you get with most city managers is lost. That said, you’ve previously praised Miami as a place where the city manager model supposedly works. However, their city manager is appointed by the mayor and is effectively the same as Jax’s CAO position. There are also cases where the city manager is micromanaged by the council and the mayor has no real power, so it’s not like it’s a perfect system.